In celebration of National Cat Day, Seattle Humane is offering deep discounts for cats and kittens Oct. 29 through Nov. 3. The shelter is waiving fees on all cats one year and older, and kitten adoptions are only $50 (two for $90). Looking for a snuggle bug, calm companion, or rabble rouser? We have the purrfect feline for everyone and our Adoption Advisors are great matchmakers. 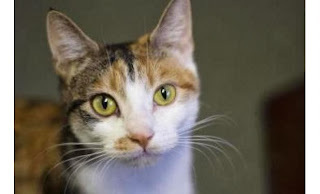 All of our adult cats have been tested for Feline Leukemia/FIV. Adoptions also include 30 days of pre-paid health insurance, a collar and identification tag, and a certificate for an examination by a King County veterinarian. Visit the website to take a peek at just some of the many kitties available for adoption and come see them all in person at the shelter in Bellevue.